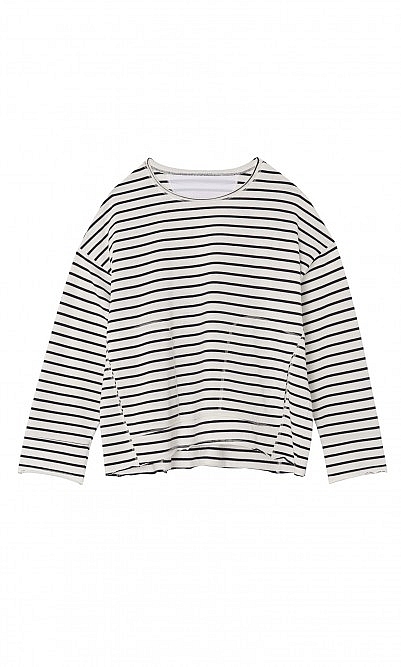 Breton stripe top with comfortable front pouch pockets and relaxed shape. Cut from mid-weight cotton and finished with raw edges. L60cm. Fabric and care: 100% Cotton. Warm handwash.